Even as President Donald Trump continues his feud with Rep. Ilhan Omar, liberals are criticizing House Speaker Nancy Pelosi of not defending the freshman Muslim congresswoman quickly or strongly enough. 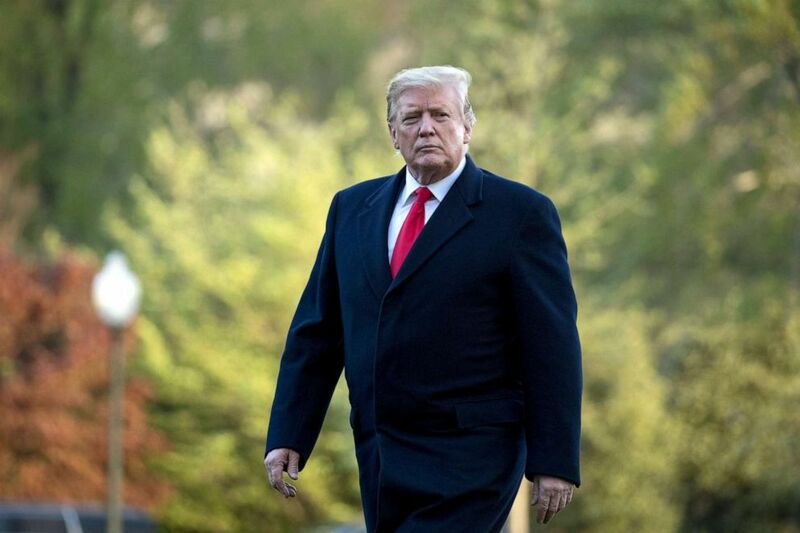 In an interview with local television station KSTP during a trip to Minnesota on Monday, Trump was asked if he had any regrets about his Friday tweet accusing Omar of downplaying the Sept. 11, 2001 terrorist attacks. 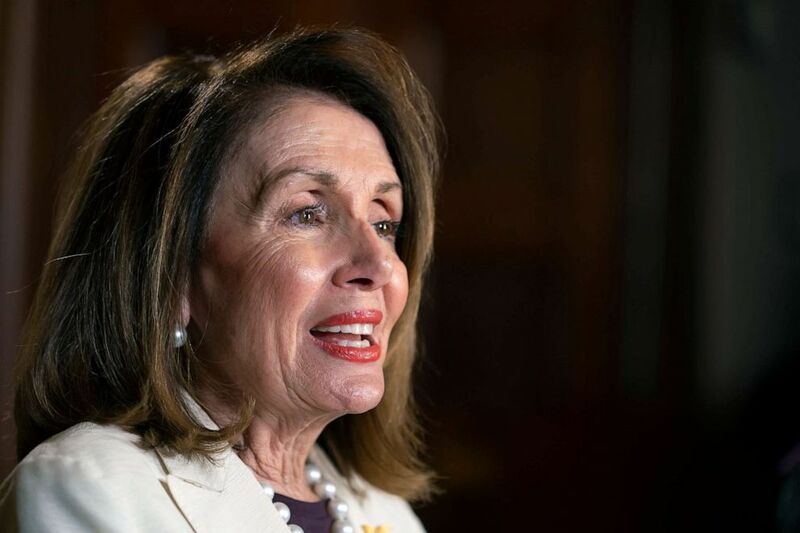 On Tuesday, Pelosi, on a congressional trip to London, was asked during an interview with CNN if she agrees with her critics that she did not defend Omar swiftly enough. "Well, I haven't had a chance to speak with her, I'm traveling," Pelosi told CNN's Christiane Amanpour. She added: "I don't even know what was said, but do I know what the president did was not right." Omar went on to say that the 9/11 attacks changed how Muslims are viewed in America and encouraged Muslims to not tolerate being treated as "second-class” citizens. Pelosi condemned Trump for the video, but she did not initially mention Omar, who was the target of Trump’s video, by name. Fellow Democratic freshman Alexandria Ocasio-Cortez of New York called on Democrats to respond to Trump’s tweet and cautioned that if they were to remain silent, they would be “complicit” in Trump’s attacks. “Has Nancy Pelosi ever visited a mosque in this country?” said Waleed Shahid, spokesman for the liberal group Justice Democrats in a tweet. Has Nancy Pelosi ever visited a mosque in this country? Pelosi spokesman Drew Hammill forcefully denied Shahid's suggestion in an emailed response to ABC News saying "...the Speaker has been to many mosques in this country and throughout the world." "This one group attacking the Speaker believes it’s more important to raise money for their own organization than condemn the President’s disgusting and vile attacks on Democrats," Hammill said of the Justice Democrats group. On the president's attacks against Omar, Hammill said: "The President is making these attacks because of the imminent release of the Mueller report in a desperate attempt to change the subject." Congresswoman Rashida Tlaib speaks as Michael Cohen, former lawyer for President Donald Trump, testifies before the House Oversight and Reform Committee on Capitol Hill in Washington, D.C., on Feb. 27, 2019. 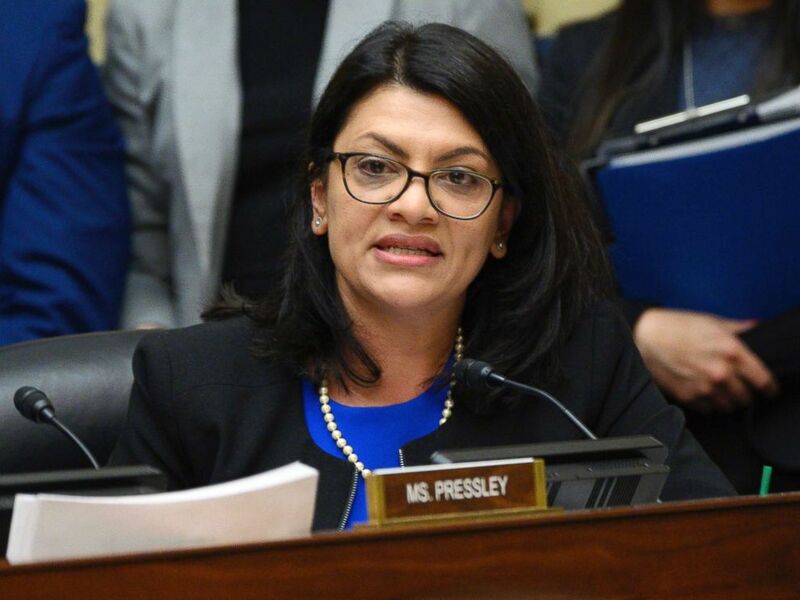 Rep. Rashida Tlaib, D-Mich., who is also Muslim, expressed frustration over how Democratic leadership was handling Trump’s attacks against Omar. "They put us in photos when they want to show our party is diverse," Tlaib tweeted over the weekend, slamming top Democrats for failing to defend Omar from Trump’s Islamophobic attacks while also insinuating their diversity is a prop for the Democratic Party. "However, when we ask to be at the table, or speak up about issues that impact who we are, what we fight for & why we ran in the first place, we are ignored," she continued, re-tweeting a California state legislative aide who criticized "the attacks on @IlhanMN and subsequent lack of support from Democratic leadership." Just hours after Omar released a statement reporting a surge of threats against her life following a tweeted attack from Trump, Trump again took aim at Omar on Monday by describing her as Pelosi’s “leader." Pelosi is also taking heat for remarks she made Monday at the London School of Economics, in which she seemingly downplayed her and Ocasio-Cortez’s stunning midterm election victories. “When we won this election, it wasn’t in districts like mine or Alexandria’s. And she’s a wonderful member of Congress, I think all of our colleagues will attest,” the California Democrat said. “But those are districts that are solidly Democratic. This glass of water would win with a "D" next to its name in those districts,” she said as she hoisted a glass of water. Ocasio-Cortez, Tlaib, and Omar all represent a new progressive wing of the Democratic Party that is calling for Medicare for all, free college tuition, and a more forceful response to fight climate change. ABC News' Meridith McGraw contributed to this story.